Notes: Also known as "Hatwune Bench," "Hatsune Bench." H@twune Bench is paid software with no free demo, so this post will only be a preview. This doujin benchmark is a song-and-dance based on Hatsune Miku, the virtual singer character from the Vocaloid singing synthesizer software. Only shows framerate. 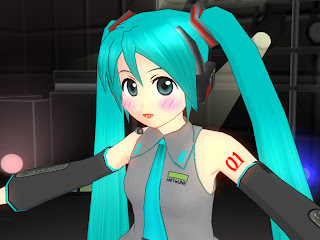 Interactive, with a free camera and the ability to add more Miku models into the scene with the associated FPS drop. Can be modded via scripts should you want to choreograph your own song routine.